The expenses involved in visits to a dentist's office can do severe damage to your wallet. Whether the visit entails a routine cleaning, an orthodontic exam or an emergency procedure, the out-of-pocket costs for dental visits can make them prohibitive for patients without proper insurance coverage. Many employers offer managed-care plans that can significantly reduce these expenses. These plans are structured as Health Maintenance Organizations, also called HMOs, or Preferred Provider Organizations, also called PPOs. One of the biggest advantages of an HMO is that the patient knows the up-front costs for nearly every possible dental procedure. This knowledge enables patients to plan, budget and save for their dental work. The cost information prevents patients from getting "sticker shock" from an unexpected dental bill. 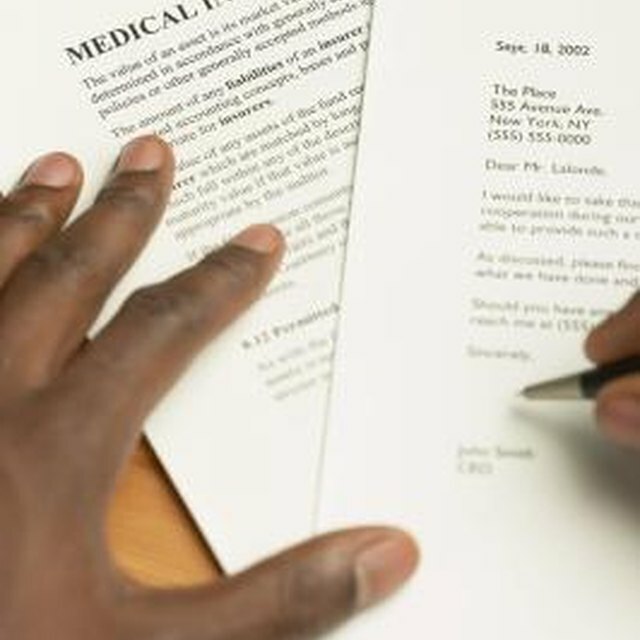 HMO participants also do not need to file claim forms for their procedures. Instead, the dentist's employees file the necessary information with the HMO home office for their compensation. A major drawback to HMOs is that patients must choose a primary dentist who is also a participant in the organization's network. If the plan changes and the family dentist no longer takes part in the plan, the patient must either choose a new in-network dentist or pay the out-of-pocket costs. Also, patients who require specialized care, such as orthodontics, must first obtain a referral from the primary dentist. The HMO typically will not cover any procedures conducted without a referral. Patients with a PPO have more freedom to choose their own dentist. These patients also can receive coverage for visits to a specialist without a referral, even if the specialist does not participate in the PPO network. This rule allows patients to visit a specialist without the need for another visit to the family dentist to obtain the referral, which saves money for the patient and time for the dentist. The major disadvantage to the PPO plan involves higher out-of-pocket costs. The co-payments for visits and procedures are often higher than those for an HMO. PPOs also charge high deductibles for out-of-network treatments. These deductibles can be more than $1,000 in out-of-pocket expenses on more elaborate dental procedures. Patients frequently must pay a portion of the remaining balance on out-of-network treatments. Depending on the PPO provider, the cost-sharing for the patient can be as much as 30 percent.